“I hope I shall have ambition until the day I die,” Clare Boothe Luce told her biographer Sylvia Jukes Morris. Price of Fame, the concluding volume of the life of an exceptionally brilliant polymath, chronicles Luce’s progress from the early months of World War II, when, as an eye-catching Congresswoman and the only female member of the House Military Affairs Committee, she toured the Western Front, captivating generals and GIs. She even visited Buchenwald and other concentration camps within days of their liberation. After a shattering personal tragedy, she converted to Roman Catholicism, and became the first American woman to be appointed ambassador to a major foreign power. “La Luce,” as the Italians called her, was also a prolific journalist and magnetic public speaker, as well as a playwright, screenwriter, pioneer scuba diver, early experimenter in psychedelic drugs, and grande dame of the GOP in the Reagan era. Tempestuously married to Henry Luce, the powerful publisher of Time Inc., she endured his infidelities while pursuing her own, and remained a practiced vamp well into old age. Price of Fame begins in January 1943 with Clare’s arrival on Capitol Hill as a newly elected Republican from Connecticut. The thirty-nine-year-old beauty attracted nationwide attention in a sensational maiden speech, attacking Vice President Henry Wallace’s civil aviation proposals as “globaloney.” Although she irked President Franklin D. Roosevelt by slanging his New Deal as “a dictatorial Bumbledom,” she impressed his wife Eleanor. Ambassador Luce took an uncompromising attitude toward Italy’s Communist Party, the world’s second largest, and skillfully helped settle the fraught Trieste crisis between Italy and Yugoslavia. She was then stricken by a mysterious case of poisoning that the CIA kept secret, suspecting a Communist plot to assassinate her. The full story, told here for the first time, reads like a detective novel. 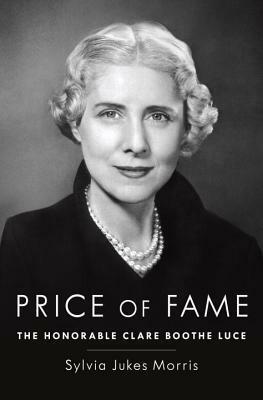 Price of Fame goes on to record the crowded later years of the Honorable Clare Boothe Luce, during which she strengthened her friendships with Winston Churchill, Somerset Maugham, John F. Kennedy, Evelyn Waugh, Lyndon Johnson, Salvador Dalí, Richard Nixon, William F. Buckley, the composer Carlos Chávez, Ronald Reagan, and countless other celebrities who, after Henry Luce’s death, visited her lavish Honolulu retreat. In 1973, she was appointed by Nixon to the President’s Foreign Intelligence Advisory Board, a position she continued to hold in the Ford and Reagan administrations. This is a very through look at the life of Clare Booth Luce. She was a person that I had never heard of when reading history books from the 40’s through the 60’s, bur her life was amazing nun the less. She wrote 4 Broadway comedies, 3 of those became hits and were made into movies. She wrote a screen play for 20th century Fox studio, and was the wife of the publisher of Time, Life, and Fortune, magazines. She also wrote articles for Life and Time, and when Pearl Harbor was attack she had a front page story on Life magazine on General Macarthur and her tour of Asia and how she thought Japan was going to try to take over the Pacific. In 1942 she was elected to the House of Representatives, and also won a second term in 1945. In 1944 she made a tour with other Representatives of the European front mainly the Italian front that she felt along with others had been forgotten after D-Day while men were still fighting. She along with the Tour also looked in on the hospitals and other areas. She was the only female from either house to make the trip, but for her she had already been to the Pacific theater once and in Africa both times reporting for Life Magazine, so this really was not out of her comfort zone. The author goes into detail about some of her speeches in the House and being Republican, not always agreeing with what came out of the White House she was critized for most her comments. Some of them seemed very hateful and would not be written by newspapers today or spoken by members from the House. But by her being female it was like open season, and what was really difficult for me was that some of the comments were coming from women who were in the House, or Congress, and really not listening to her speech but just going off what was said out of the newspapers. Especially when she was trying to still push forward equal rights for women. They made up over 80% of the job force but were not given the same benefits as men. She also pushed for the same rights as men when it came to the G.I. bill for there were many women serving the Nation as well. 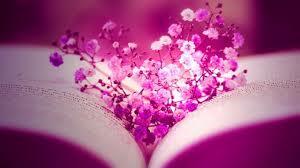 Though she would be put down her arguments towards those bills got the women added. While she was in office there is a chapter about the death of her only child a daughter who was killed in a car accident, very tragic. She makes another visit to the European Theater towards the end of the war and is actually one of the people to see first-hand of the brutality of the camps, she went to Buchenwald, and after her tour she would give a speech in the House about the cruelty that she saw. When she left office she went back to writing and then May of 1953 thru April of 1956 she would be the American Women to be Ambassador to Italy or any important post. After that she would only in name become Ambassador to Brazil. She would go on to support every Republican and give speeches when asked. In 1983 she was the first female to be awarded the Presidential Freedom Award by President Regan. She passed away in 1987 at the age of 84, with an estate over 31,625,454 dollars. Most given to charities and a large amount 50 million to academic program designed to encourage the entry of women into technological fields traditionally dominated by men. She also gave money to schools to set up programs for women studies, and much more. this book has a lot of information and the author has done a massive amount of research and though this is a long book it is worth the read. I got this book from net galley.